Click the button below to add the FOODSPRING STEVIA DROPS 50ML to your wish list. GIVE UP SUGAR, BUT NOT SWEETNESS. If you have a sweet tooth, you'll love stevia. And now you can enjoy as much sweetness as you like in your breakfast, your shake and even your midnight snack. But without the extra calories. Our Stevia Drops add sweetness to all the things you love to eat. Finally you can enjoy truly guilt-free snacking. Did we whet your appetite? PURE SWEETNESS. NATURALLY CALORIE FREE. Around a hundred times sweeter than granulated sugar. But without all the calories. 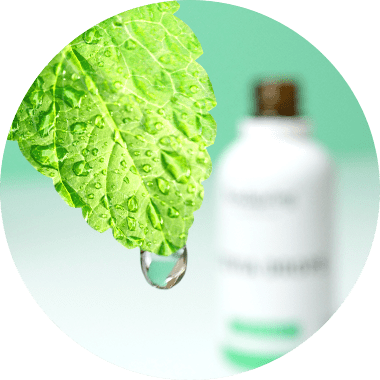 And our drops are derived from natural sources: we use complex processing methods to extract only the finest sweet compounds from the stevia plant. So you can enjoy sweetness in its purest form, without the bitterness. No unnecessary additives. No worries. GOOD SUGAR. BAD SUGAR. HOW DO THEY COMPARE?